Serious Breaks or Electro House. Well known and respected for their production style and particularly the cone melting Bass-lines that form the signature of many of their tunes, Aquasky have looked deep into their production archive to bring you an exhaustive palette of inspiring loops for anyone looking to make Electro, Breaks or House. Whether you are looking for tearing Breakbeats, minimal 4/4 beats, Full flavoured drum kit loops, heavy Bass lines, or inspiring musical loops, filters and chords - you will find a truly unique and highly useable set of royalty free electro house and breaks samples contained in this package. If you are looking to make serious Breaks or Electro House flavoured productions then look no further than this awesome release from Aquasky and Loopmasters, its full to the brim with useful inspiring sounds and its all been produced with great attention to detail and a no holds barred approach. 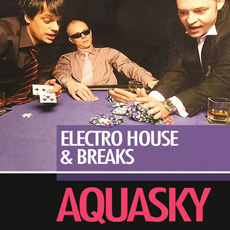 Sample the Future of Electro House and Breaks with Aquasky and Loopmasters today!